A lot has been happening, and it all seems to happen at once. 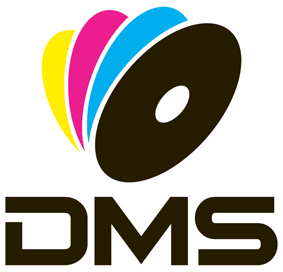 Nikki and I are very proud to announce that DMS, Disc Manufacturing Services Limited have now come on board in support of the campaign. DMS are a SW based music company specialising in the production of CD, DVD & Vinyl records all delivered in Eco-friendly packaging. There is a strong synergy between ourselves and DMS, this is all down to the morals and values of Managing Director Dave Summers. Like me Dave grew up in Cornwall and lived next to the beach, sailing Hobie 16's nearly every day until his early 20’s. Being a keen sailor, he was horrified to see with his own eyes and read stories about huge amounts of dumped plastic floating around the world’s oceans. Although aware that he was powerless to do anything about it, he made the conscious decision that his company would no longer contribute to this environmental disaster. Encouraged and educated by Julies Bicycle, a London based organisation that helps companies reduce their harmful effect on the environment, Dave set about changing the way his company produced packaging and this has led to DMS significantly reducing the amount of plastic used in DMS packaging products. This range has proved immensely popular with clients and end purchasers and it has led to DMS significantly reducing the amount of plastic used in packaging from 90% in 2008 to less than 5% in 2015. Over the years DMS have sponsored many internationally renowned sailors such as Pete Goss, Conrad Humphreys and more recently have helped young Southampton based sailor Nikki Curwen realise her dream of competing in the Mini Transat. We are delighted to be added to that list and hope with the additional support shown by DMS we will be able to realise our dream of competing in the 2016 Olympic Games. DMS have helped myself and Nikki secure some coaching for the forthcoming regattas which truly is invaluable to the campaign. We are hugely thankful and are excited to develop the partnership as the team grows and improves. For more information on DMS check out their website, and naturally if you need any special non plastic packaging for music and non music products you know where to go!